M.E. 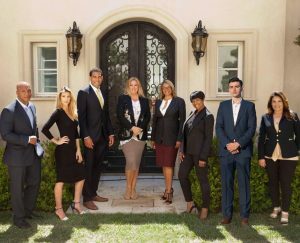 PROPERTIES TEAM is an elite group of Realtors licensed in Multiple States. The team has been hand picked by Team Leader and Master Negotiator, Missy Echeverria. The team is a top producing group of elite Realtors of International Keller Williams. The team specializes in high end Luxury Real Estate across thew US. We are Members of the Institute of Luxury Homes Marketing. We are specialists in Luxury Residential, Commercial, Land, Multi-Family, Foreclosures, Short Sales, New Construction, Entitlements, 1031 Exchanges and Investments of all magnitudes. Our offices are currently in Hollywood Hills, Silicon Beach, San Francisco, Buckhead and Hawaii. We’re growing daily and have plans to open offices in Pasadena, Marin County, NYC, Texas and Chicago. Our vision is to bring our WORLD knowledge to YOUR community. Here at M.E. Properties – Service is all about YOU!